“The Gales of Chance” by Gordon Donnell begins with parallel sides. On one hand we have Linfield’s funded business deal with a Middle Eastern Prince for the privatization of a company called Hollister, and his own developed robotic software. On the other hand we have the FBI investigating a fire and how it relates to Childers, who is a Hollister stock holder; and the Treasury Department looking into Linfield’s business for wrong doing. US Marshall Flores is in charge of Childers surveillance when she finds out her boyfriend was hired as part of the new team at Hollister. All these parallel events come together to create an action thriller where business, terrorism, technology and the off-shore oil platform bring the main characters together to keep the reader on the edge. Donnell created a great plot relevant to current dangers, which kept me hooked to the pages as the possibility for this fiction to become reality increased. The characters were very well developed, their dialogues smart, genuine and believable which complemented the different characters’ personalities. The only thing that, in my mind, could have made this book even better was a little faster pace in the beginning, but once the action started, the page turning was unavoidably fast. I truly enjoyed Marshall Flores and loved how Donnell created a real woman heroine and not one of those super Barbie clichés. The fact that she was a real person helped me as a reader to identify with her character traits and flaws. I found it to be the same case with Childers. Donnell’s character development really showcased his writing skills as did his depiction of the action. I found this book very easy to read and follow as its flow was impeccable. Overall, “The Gales of Chance” by Gordon Donnell is a smart, well written and engaging thriller that kept me turning the pages and dreading each time I had to put it down. I definitely recommend this book to readers who like smart business thrillers and action novels. I hope to see more books from Donnell! 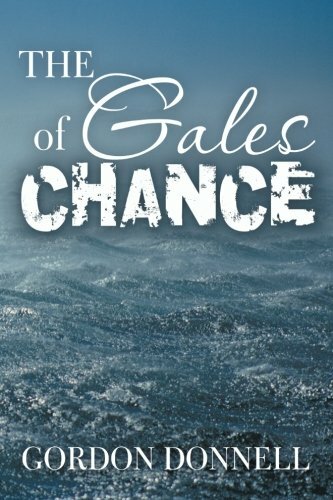 This entry was posted in Books, Business - Fiction, Mystery/Thriller and tagged Book Review, The Gales of Chance. Bookmark the permalink.